Perioral dermatitis, also known as periorificial dermatitis, is a type of inflammatory rash that appears on the facial skin around the mouth. The exact cause of this form of dermatitis is not known. However, experts believe that it may appear after topical steroid creams are applied to the face to treat other conditions. Moreover, nasal sprays containing corticosteroids as well as heavy skin creams that contain petrolatum or a paraffin base may cause this problem. Some other factors that may trigger this skin condition include bacterial or fungal infections, rosacea, constant drooling, use of fluoridated toothpaste, oral contraceptives, and sunscreen. Perioral dermatitis is common in young women, but it can also affect men as well as small children. People who have a history of allergies or hormonal imbalances are at an increased risk of suffering from this condition. The most common symptom is a rash of red bumps around the mouth and in the folds around the nose. The bumps may be scaly in appearance and may contain pus or fluids. They sometimes resemble acne. There may also be a burning sensation or itching, especially as the rash worsens. Perioral dermatitis can last for months and treatment is usually lengthy. While treating it, the American Osteopathic College of Dermatology recommends stopping the use of topical steroid creams or nasal sprays containing steroids, if possible. Discontinuing use of facial creams is also helpful. Also, many simple home remedies can help alleviate symptoms and keep the condition from getting worse. 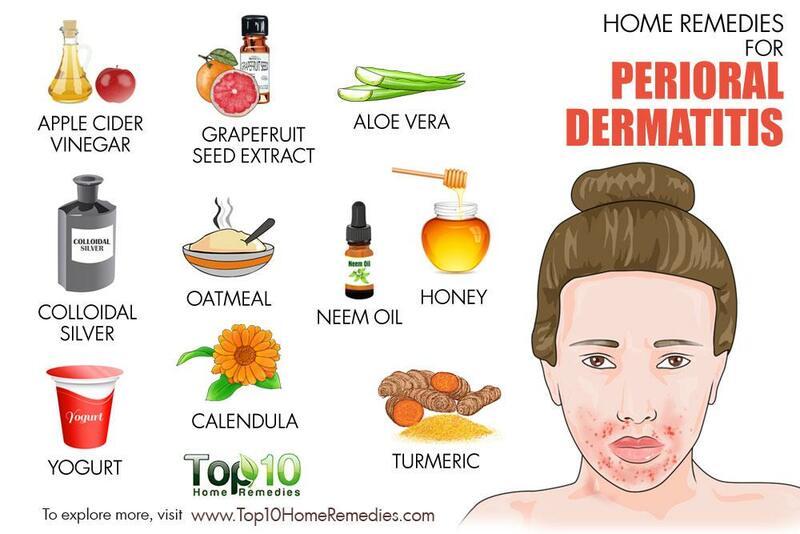 Here are the top 10 home remedies for perioral dermatitis. Apple cider vinegar is one of the best home remedies for perioral dermatitis. This health tonic can work against bacteria, fungi and viruses to deal with what may be causing the problem. Also, it contains strong anti-inflammatory properties that help provide quick relief from inflamed and blotchy red skin and the painful rash. 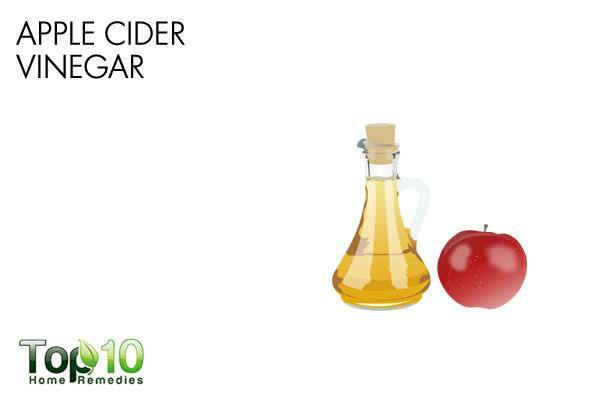 Dilute raw, unfiltered apple cider vinegar with an equal amount of mineral water. Soak a cotton ball in this solution and apply it gently on the affected area. Rinse it off after 20 minutes, then apply some olive oil or jojoba oil for moisturization. Do it 2 or 3 times a day for at least 1 or 2 week. To help your skin heal from the inside out, add 1 to 2 teaspoons of raw, unfiltered apple cider vinegar to a glass of lukewarm water. Drink it once or twice a day. Note: If you have very sensitive skin, dilute the vinegar even more before using it on your face. 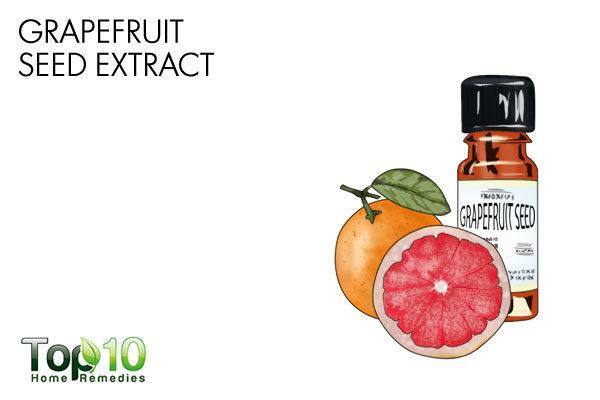 Grapefruit seed extract is another very good natural treatment for perioral dermatitis. It is a potent antifungal, antiseptic and anti-inflammatory agent that helps ease the painful symptoms. It also purifies the skin from deep within and fights off infection-causing germs. Put 5 or 6 drops of grapefruit seed extract in 1 tablespoon of castor oil or any other carrier oil. Using a cotton ball, apply it on the affected skin. After 15 to 20 minutes, rinse it off with water. Repeat 2 or 3 times a day. You can also take grapefruit seed extract internally in tablet form. Consult your doctor for the recommended dosage. 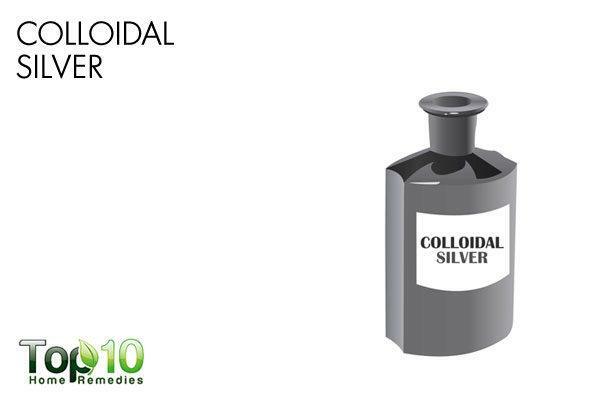 Colloidal silver is another good remedy that you can try at home. This natural antibiotic aids in eliminating toxins from the body and preventing growth of germs that can worsen the condition. It is also gentle on the skin and people with sensitive skin can use it to reduce the severity of symptoms. Wash the skin thoroughly with lukewarm water and pat dry with a clean towel. Apply 1 or 2 drops of colloidal silver on the affected skin. Do it twice daily. You can also use colloidal silver ointment, applying it on the affected area as mentioned above. 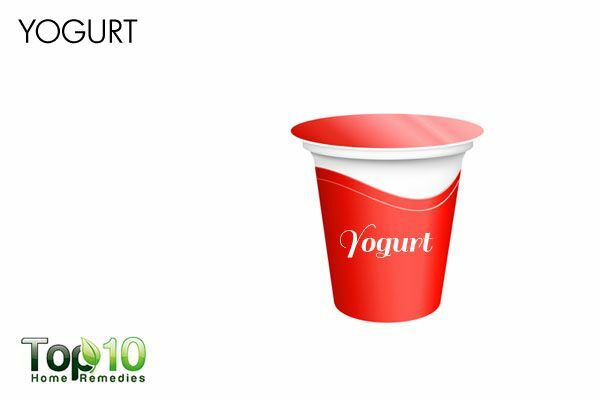 Plain yogurt, with no sugar or artificial sweeteners, can also be used to soothe the symptoms of perioral dermatitis. Being rich in good bacteria, it works as a powerful antibacterial agent that helps eliminate bad bacteria on the skin. It has soothing and cooling properties that help calm inflammation, redness and pain. Simply appy a layer of Greek yogurt on your skin and let it dry. Then, rinse it off using cool water. Do it 2 or 3 times a day for a few weeks. Alternatively, add 1 teaspoon of Manuka honey to 2 tablespoons of yogurt and mix well. Apply it on the affected area, wait 15 minutes and then rinse it off with water. Do it twice daily for a few weeks. Also, include yogurt with live and active cultures in your regular diet to help your immune system fight microbes. 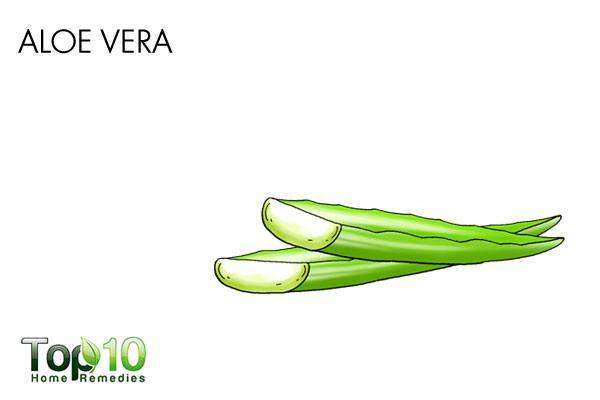 Aloe vera is a good remedy for different types of skin problems, including perioral dermatitis. Thanks to its anti-inflammatory and antimicrobial compounds, aloe vera helps soothe irritation and inflammation. Also, this natural sealant eliminates dry skin associated with perioral dermatitis. It also restores your skin’s pH balance to help prevent breakouts of perioral dermatitis. Apply fresh aloe vera gel several times a day for a few weeks. Alternatively, put 4 tablespoons of pure aloe vera gel in a small glass container. Mix in 5 drops each of lavender essential oil and tea tree essential oil. Apply it twice daily on the affected area. Store the blend in the glass container in a cool place. 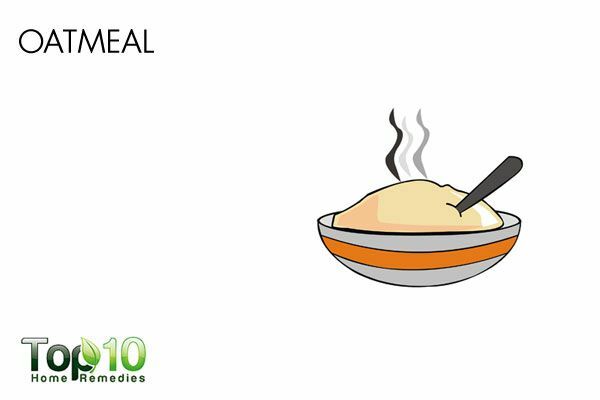 To get relief from skin itching, rashes and burning sensations due to perioral dermatitis, oatmeal is very helpful. It is great for alleviating skin irritation and inflammation, due to its soothing and anti-inflammatory properties. It also keeps the skin moisturized, which helps speed up the healing process. Mix ½ cup of finely ground oatmeal with a little water. Apply the paste on the affected skin and leave it on for at least 15 to 20 minutes. Rinse it off with cool water. Do this 1 or 2 times daily until the rash is gone. Alternatively, prepare a thick paste of equal amounts of oatmeal and plain yogurt mixed with a little honey. Apply it on your face, leave it on for about 30 minutes and then rinse it off. Do this once daily until you see improvement. 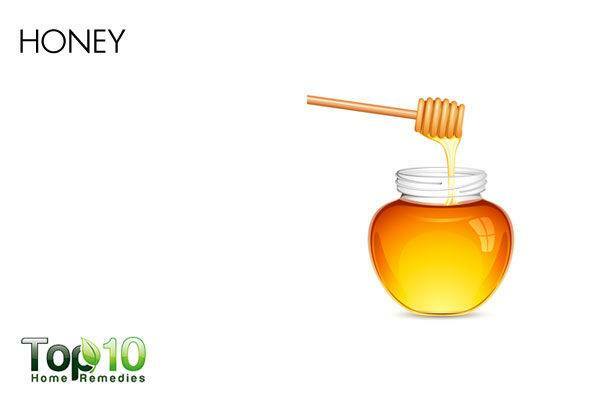 Honey can really help fight skin inflammation associated with problems like perioral dermatitis. It also has potent antibacterial and antiseptic qualities, making it even more effective in reducing symptoms like inflammation and itchiness. Apply Manuka honey on the affected area. Allow it to dry, then rinse it off using lukewarm water. 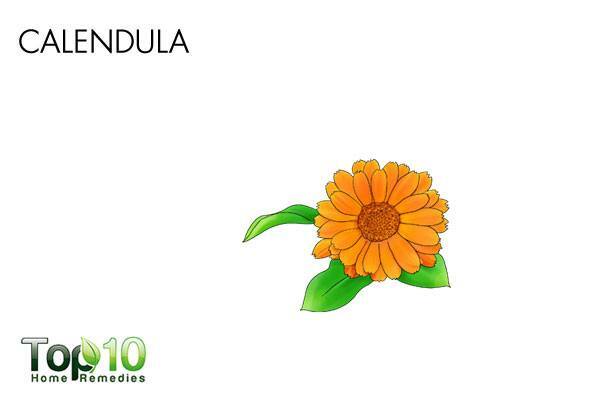 Another simple and effective remedy is calendula. This herb contains antibacterial, antifungal and moisturizing qualities that help soothe the irritation, itching and inflammation associated with the condition. It also speeds up healing and keeps the skin properly moisturized. Put 1 ounce of pure shea butter in a mason jar. Put the jar in a pan with a little water, and heat it over low heat until the shea butter melts. Remove it from the heat, and add 3 to 5 drops of calendula essential oil. Mix well and let it set for 1 to 2 hours. Use it as a cream 2 or 3 times a day for a few weeks. 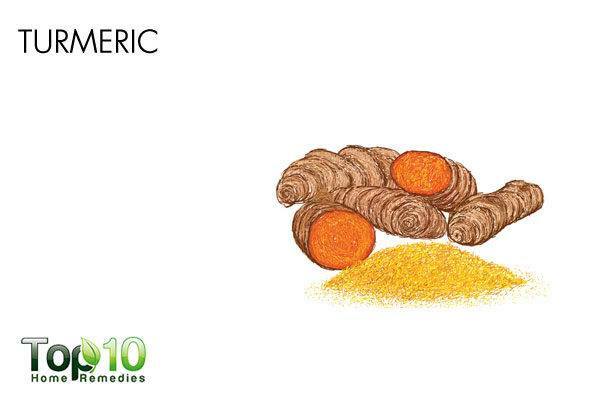 Another very effective ingredient that can be used in the natural treatment of perioral dermatitis is turmeric. It has anti-inflammatory compounds that work to reduce inflammation and itching associated with this skin condition. Being a natural antiseptic, it can also reduce the risk of infection and further eruption. Mix a little turmeric powder with some water or local honey to make a paste. Apply this paste on the affected skin for 15 to 20 minutes. Rinse it off with cool water. Repeat 2 or 3 times a day. Neem has been used to treat various skin diseases since a long time in India. 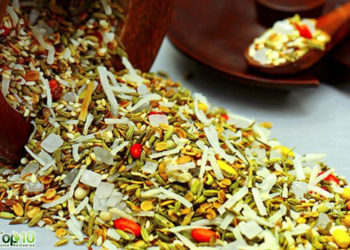 This traditional remedy was used to treat skin problems like leprosy, ulcers and rashes. It is rich in anti-bacterial, anti-inflammatory and anti-ulcer properties that help heal the condition. It also helps soothe itchy and irritated skin. 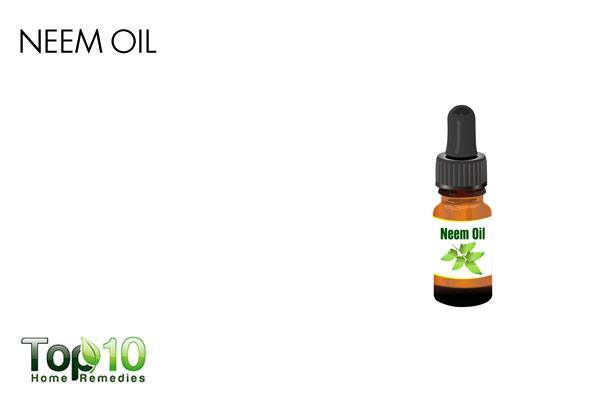 Mix a few drops of organic neem oil in 1 tablespoon of carrier oil, like jojoba oil or olive oil. Apply it on the affected area. Leave it on for 30 minutes or more, then rinse it off. Do this once daily for a few weeks. Also, opt for soaps and skin care products containing neem to help soothe the skin. Apply zinc oxide cream on the affected area to help heal the rash. Take evening primrose oil in form of supplement after consulting your doctor. Its essential fatty acids help heal the condition. Do not use harsh facial scrubs or perfumed cleansers. Use only lukewarm water to wash your face during flare-ups. Stop using or reduce use of makeup, cosmetics and sunscreen. Regularly wash your pillowcases and towels in hot water. Limit consumption of overly salty or spicy foods, which can irritate the skin around the mouth. Limit the amount of time your skin is exposed to ultraviolet (UV) rays, heat and wind. Apply cool, wet compresses on your face to soothe your skin. Avoid rubbing and scratching the affected skin. Keep your skin moisturized with natural oil like jojoba oil or coconut oil (coconut oil may not suit some cases of perioral dermatitis, though) to reduce the severity of symptoms. •Where could I find, unfiltered apple cider vinegar and mineral water?